Microsoft announced a testing Program for "Skype for iOS"
For Skype iOS users, Microsoft announced the launching of a testing program which will enable the users to give their feedback on and use pre-release versions of the software’s including chatting and cell phone calling software. However there’s a limitation to this, the program contestants should be 18 years or older and need to have a functional email address. Other than email address or as its substitute, they should have a Microsoft Account or a Skype account according to the company requirements. Users are supposed to sign an NDA (a Non disclosure or secrecy agreement) when they will join the program. 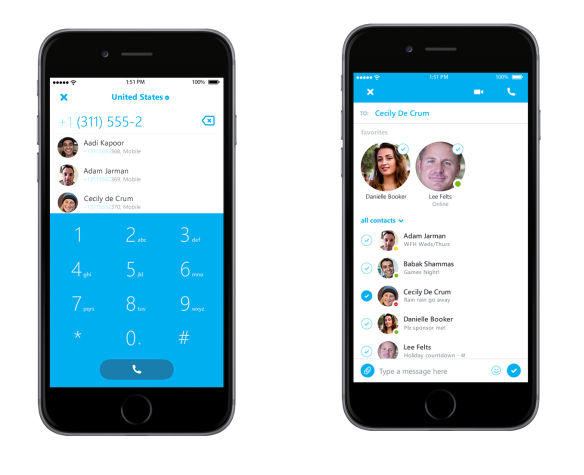 People who are interested can apply online at “Pre-Release Program of Skype For iOS” page. Microsoft stated that it doesn’t want this program to be for everyone outside this program. This pre-release program involves latest versions of testing which doesn’t only includes providing a feedback when you feel something is exceptionally wrong or in Microsoft words doesn’t “look right” but it allows you to report bugs , audio which is not in sync and visual anomalies, etc. “We want you to shape the experience – so your feedback is important to us. The experience should be straightforward, “easy as pie”- you shouldn’t have to overly think about how to do it. If it is anything more than that, let us know and we’ll strive to make you experience the best possible! However companies not only do this for customers benefit but also to know for a fact that which features are more preferred and which need improvement. The registration process includes filling up a survey that will be just like entering your basic information and a little more. Once the survey is completed, you’ll get an update that will include an early access version for you to try out i.e. The iOS Skype application. Other than the announcement of the testing program, Microsoft announced an update of Skype for iPhone with a little change too. Microsoft keeps on adding new features to its programs so that its customers don’t feel that the company is not doing anything for them, and to obviously stay on top of the ladder.